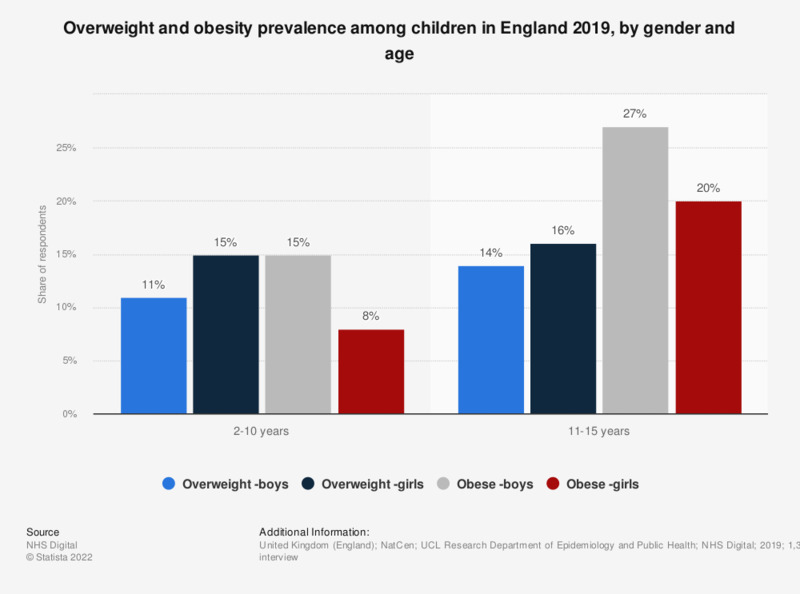 This statistic displays the overweight and obesity prevalence of children in England in 2017, by gender and age. In this year, 13 percent of boys aged 2 to 10 years old and 12 percent of girls aged 2 to 10 years old were overweight. Categories are mutually exclusive, i.e. overweight does not include those who are obese. Everything On "Eating disorders in the United Kingdom" in One Document: Edited and Divided into Handy Chapters. Including Detailed References.